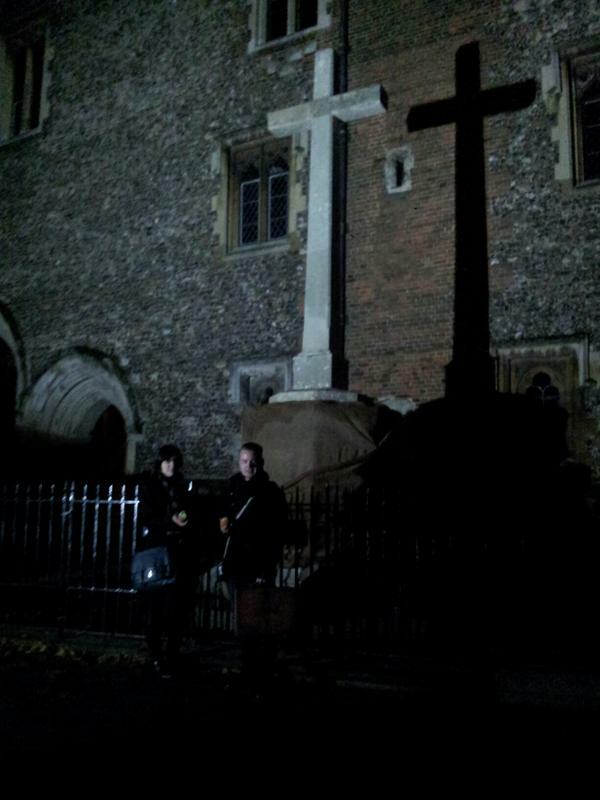 Thanks to everyone who came down to the OGOM Gothic Writing Evening on Friday 7th in St Albans with myself, Catherine Spooner and Matt Beresford. 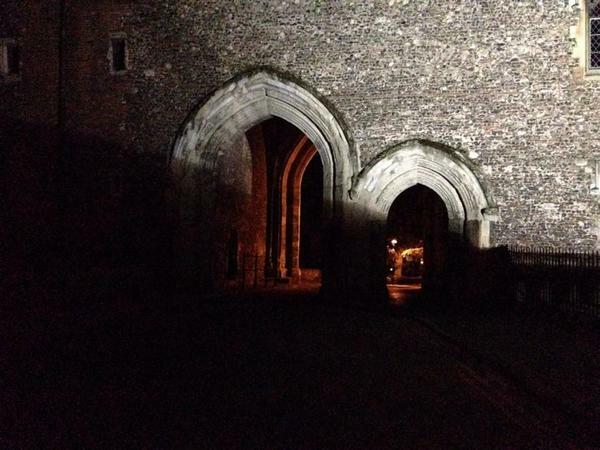 This was our first contribution to the St Albans Literary Festival and as you can see we had a suitably spooky setting in the old prison gatehouse (which is now St Alban’s School and known to locals as Hogwarts because of its Goth pedigree). Inside the tower is the school library so I got to enjoy the best of both worlds and feel like I was in a real life episode of Buffy!! I talked briefly about OGOM, its beginnings and future directions (e.g. ‘Company of Wolves’ and plans to set up a Vampire Study Centre at the University). Catherine delighted us with some self-sparkling vampires who had most definitely been to ‘gothic charm school’ and Matt chatted about his PhD research on the Byronic/Romantic vampire and his book on werewolves. Waterstones were on hand with some copies of all the books mentioned and there were canapés served by some rather gothtastic students. We were channeling ‘Post-millennial Happy Gothic’ throughout (Can’t wait for Catherine’s new book on this). Thanks to Jeremy Ridgman, Dean of Humanities, for sponsoring the event (and coming along) and Jennifer Blackford, festival organiser, for inviting us to take part. Dr Pat Wheeler, Subject Head of Literature at UH did a brilliant job organising things behind the scenes and doubling up as a glamorous gothic cocktail waitress on the night (can’t wait for students to see those pics). Thanks also to Adam for being our technical support, photographer and podcaster and to Emily for the fabulously Gothic catering. Catherine later posted a picture of this vampiric winged skull which she stumbled across in St Alban’s Abbey. She must have some sort of uncanny built in gothdar that alerts her to these things! Our very own fourteenth- century vampire! A winged skull in St Albans Abbey. 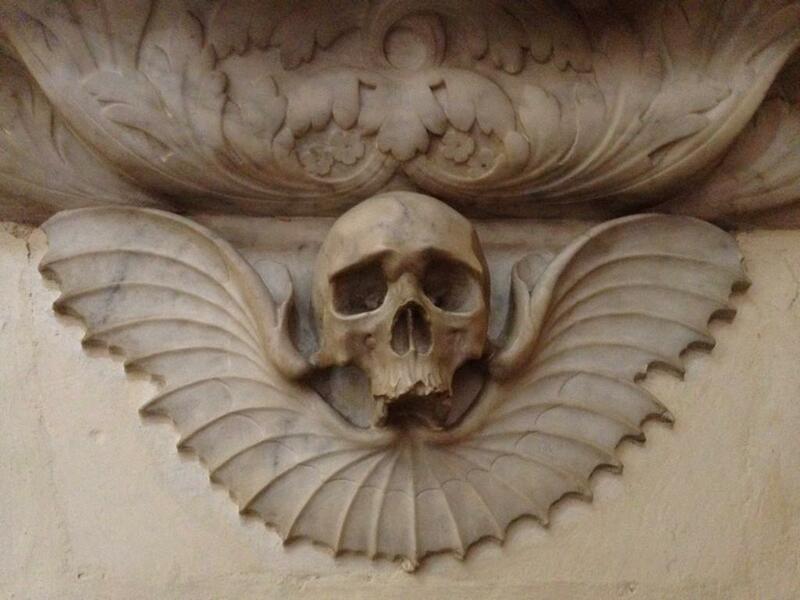 Wonderful skulduggery in the Abbey – might adopt this as the next OGOM symbol!! Hope to see you all at Company of Wolves!! This entry was posted in Events, OGOM News, OGOM Research. Bookmark the permalink.